For AIGA’s 2013 Head Heart Hand Conference in Minneapolis, the Kiss Me I’m Polish team devised a multidisciplinary design experience celebrating the organization’s centennial year while emphasizing AIGA’s true strength: its diverse and powerful membership made up of designers of all shapes and sizes. 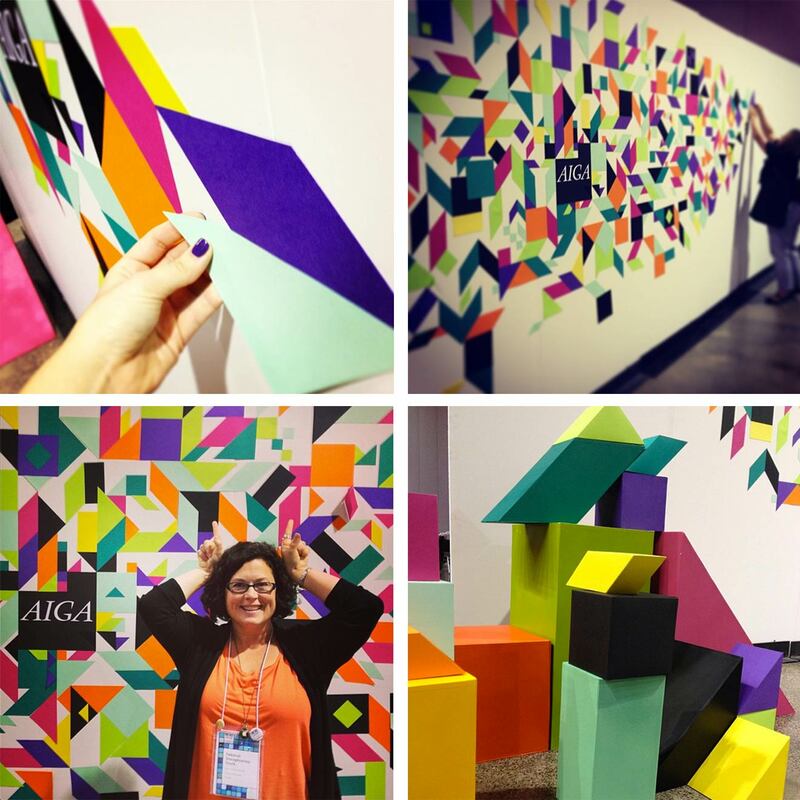 The multifaceted campaign included a foldout poster and broadside sent to AIGA’s 25,000 members (and included in all attendee goodie bags), a geometrically-narrated animation shown to an audience of 2,000 during the conference; as well as an analog interactive experience in which attendees contributed to a mural made of hand-cut paper shapes that grew continuously throughout the event. The biggest hit though may have been the photo booth featuring 3-D versions of all of our geometric shapes. We’ve been combing through Instagram to collect everyone’s snapshots of all of the various pieces and love how everyone have made the experience their own. Thank you to everyone that participated!